Kelly Howie Team at RE/MAX Advantage has made a difference by becoming the first and only Miracle Agents in Rapid City. Through the Miracle Home program, the team makes a donation to Children’s Miracle Network Hospitals® after each transaction. All the donations benefit Regional Health hospital in Rapid City. “It is fulfilling to know that we are doing our part to make sure every child in our community has a chance at the best care possible; which is what inspired us to want to become Miracle Agents,” says Kelly Howie, team leader and Broker/Owner of RE/MAX Advantage. RE/MAX Affiliates across the U.S. and Canada have raised more than $165 million for 170 CMN hospitals. Over the years, their support of CMN Hospitals has helped provide life-saving treatments, advanced medical equipment and valuable research and education. And the local hospitals determine the best way to allocate those funds based on local need. “By achieving the distinction of Miracle Agent, this team demonstrates their level of commitment to the health and wellness of the communities and families they serve. Our youngest patients are very fortunate to have such strong Children’s Miracle Network champions in the Kelly Howie Team at RE/MAX Advantage,” says Shawn Powers, Development Coordinator, CMN at Regional Health Foundation. 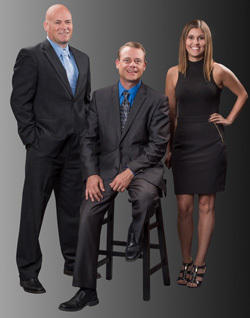 Buy or sell with a Miracle Agent by using our options at the top of this page, or call our office at 605-939-0255.